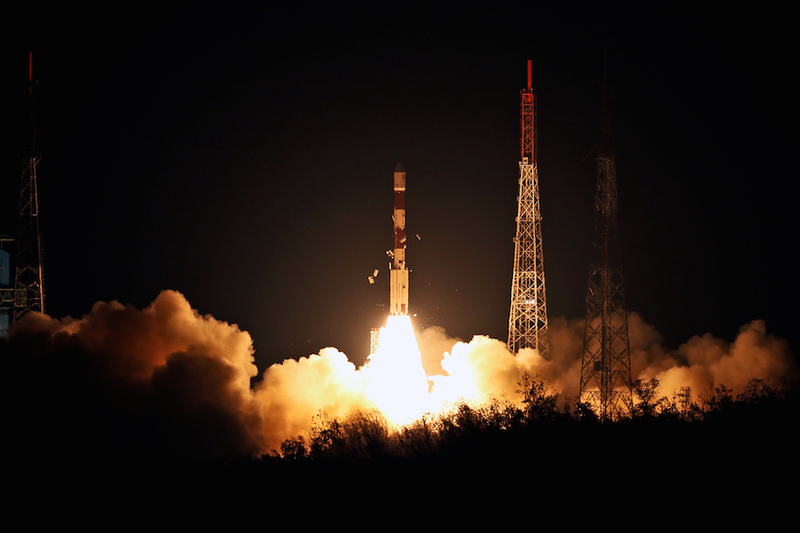 The 145-foot-tall (44-meter) PSLV lifted off at 2234 GMT (6:34 p.m. EDT) Wednesday from the Satish Dhawan Space Center on India’s east coast. 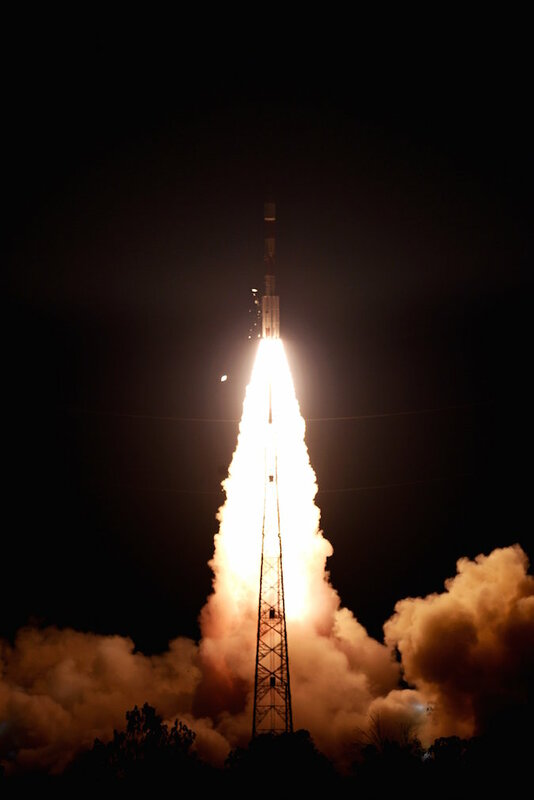 Launch occurred at 4:04 a.m. Indian Standard Time on Thursday. 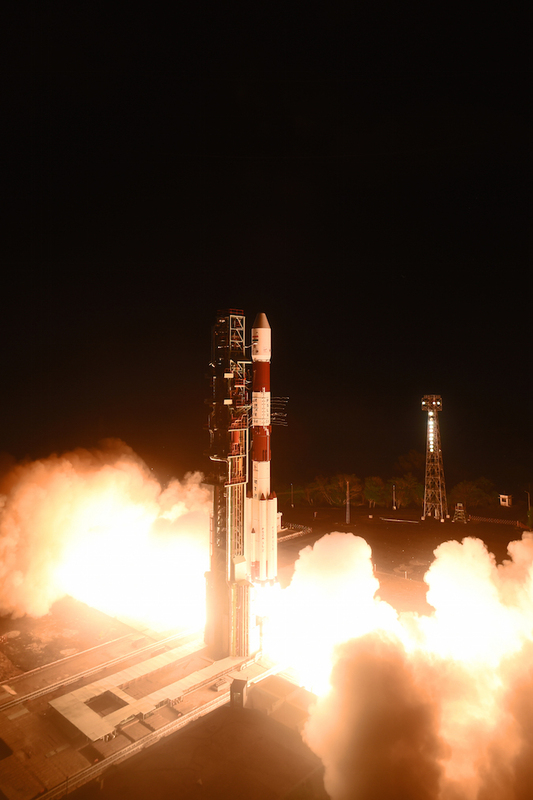 The PSLV launch marked India’s third space mission of the year, and the 43rd PSLV flight overall, 41 of which have been successful. 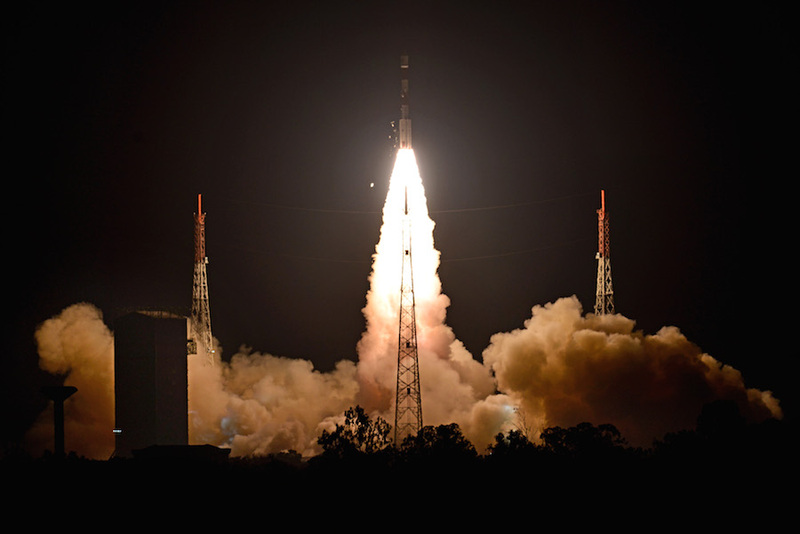 An Indian navigation satellite named IRNSS 1I rode the PSLV into orbit. 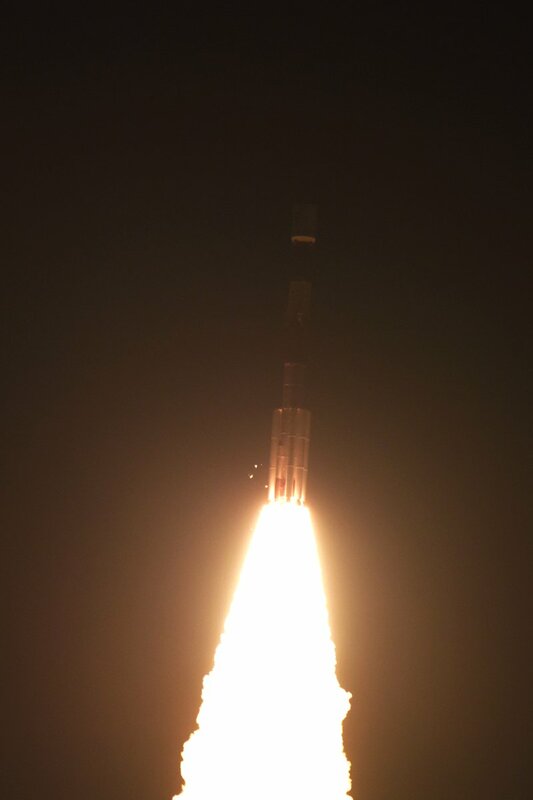 These images show the PSLV, powered by a solid-fueled core stage and six solid rocket boosters, lifting off from the First Launch Pad at the Indian spaceport. 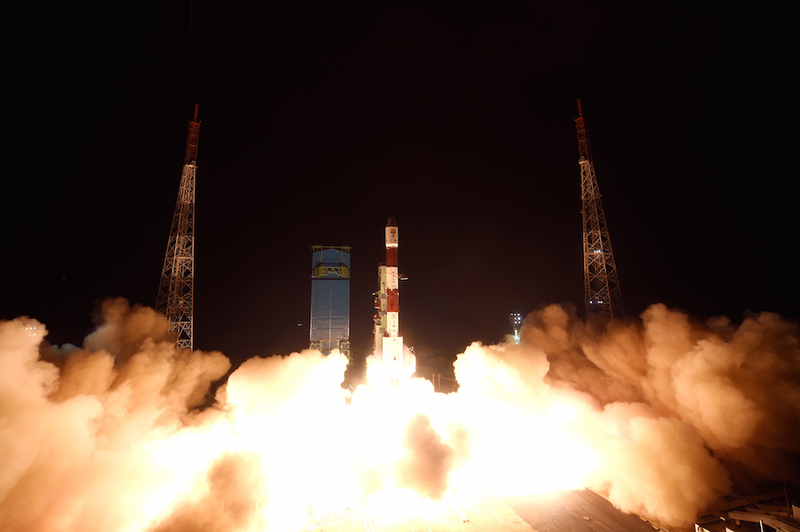 Night launches by India’s PSLV and GSLV rocket families are fairly rare. 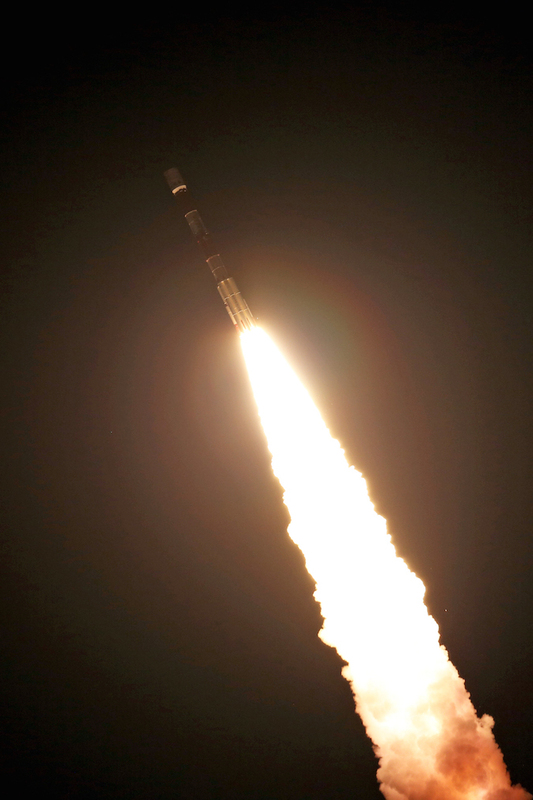 This week’s mission was the fourth nighttime blastoff by one of the country’s orbital-class launchers in three years, during which time India has conducted 19 satellite launches, including one rocket failure. The debris seen falling from the rocket in these photos are pieces of insulation that are designed drop away at liftoff.